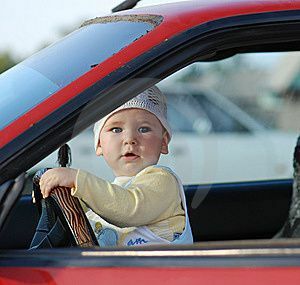 Children are much more prone to being seriously injured than adults, particularly in the event of a car accident. This is one of the main reasons that Washington state has enacted several laws requiring children to be restrained appropriately – whether it be by a seat belt, child seat or booster seat – at all times while they are traveling inside of a motor vehicle. Seat belts, child car seats, and other child safety restraints are proven in saving lives and reducing the severity of injuries to young and vulnerable passengers. While everyone should realize the benefits of using proper safety restraints, legislation can provide an additional incentive for parents in joining the fight to prevent injuries to children in Washington. Children between the ages of eight and 15 – or a child who is under the age of 8 but taller than 4’9” – must be properly restrained by a vehicle’s seat belt or appropriately fitting child restraint system. If a vehicle’s seat is only equipped with lap belts, children who weigh more than 40 pounds are not required to use a child safety seat. Children who are under the age of 7 but are taller than 4’9” must be properly restrained by a car’s seat belt. Where a child is sitting while they are inside the vehicle can also make a big difference in the event of a car accident. Airbags and dashboards can be potential injury hazards for children and can also be contributing factors to specific types of injuries such as traumatic brain injuries. Children under the age of 13 are required to be seated in the rear seats of a vehicle and properly restrained by a safety belt if they are older than 8 years old or taller than 4’9”. Studies have shown that younger children are better protected from serious injury in the event of a car accident when they are seated in the rear of a vehicle as opposed to the front, and this guideline helps ensure that a child is not unnecessarily put at risk of injury while traveling in the car. Once a child is old enough to move from using a booster seat or child seat to the regular seat belt system, they should always be restrained by both the shoulder and lap belts. This helps ensure that all parts of a child’s body are adequately protected should the vehicle be involved in an accident. Experts contend that parents should not be in a rush to graduate a child from a booster seat or child seat too soon, as there are certain instances where a child may not be physically ready to be moved into the front seat.